Emergency house locksmith provides all sort of emergency locksmith services in your home. 24-7 emergency house locksmith has to be mobile in order to give you the locksmith service that you need in your property. It must be remembered that a legit emergency house locksmith would not charge you extra for emergency service. Emergency house locksmith can help you in many varieties of lockout situations in your home. For instance, you’re locked out of your home, or perhaps you lock yourself out of a bedroom. To name more residential lockout incidents, you can lose the keys to your shed outside of your backyard, or even been locked out of garage or basement door. It’s important to realize, an emergency house locksmith can immediately help. As we’ve seen above, you may need an emergency house locksmith in Bethlehem, Allentown, and Easton on many occasions. But what if your key break inside the lock cylinder, late at night? An emergency house locksmith can help you, too. We proud to announce that we are emergency residential locksmiths in the Lehigh Valley, PA. At the same time, we can also schedule an appointment for coming up a locksmith project. Yet, emergency residential lockout services are needed very often. Our locksmith can handle any emergency lockout, and your emergency locksmith requirements, at your home. Whether you lock yourself out of your home, or one of your bedrooms, we can help. In order to provide fast emergency home lockout services, we offer locksmith arrival after 15-20 minutes, since you’ve placed your first call. Yes, you read it right, and you can take a fast decision now, in order to get over a lockout incident as fast as possible. We get many calls from students who share a room at the same house with other students. It is so common to lock yourself out of any door. You just need a split of second not paying attention to your keys. As you can see. no matter what door you need to unlock in your home. In addition, it also no matter if you need to unlock your main door, or bedroom door. Generally speaking, we can unlock any door in your house. If you’re looking for a professional emergency locksmith, do not look furthermore because you’ve found one. Despite the fact there are so many locksmith companies, we glad to announce that we are the best locksmiths in town. Look for our online reputation. Read what our customers say about us. You can get the impression before you’re calling us. Our locksmiths are here to solve your emergency residential key and lockout issues. Be that as it may, say, we’re available 24 hours a day 7 days a week. and we are ready, as well as prepared to come out soon after you call us. 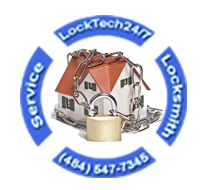 Please call us now in order to receive a fast locksmith service!